Bonding over the unexpectedly lovely sunshine and exquisite platters of Wolfgat’s seasonal food featuring local strandveld kos, foraged within metres of the beach in some instances, had loosened our restraint. The initial sense of formality at our esteemed guest’s presence soon eased into a jovial familiarity. The wine played its part too, no doubt. When Kobus arrived at the table with a basket of fresh bread as per Mr Petrini’s request, the table burst into a fresh wave of giggles. 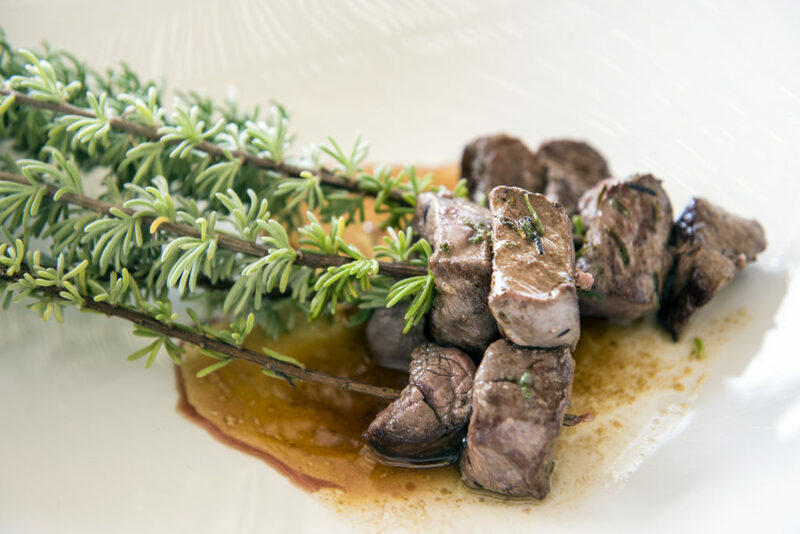 We agreed heartily – the tender springbok, just-foraged herbs and the buttery nara were a match made for the food gods. 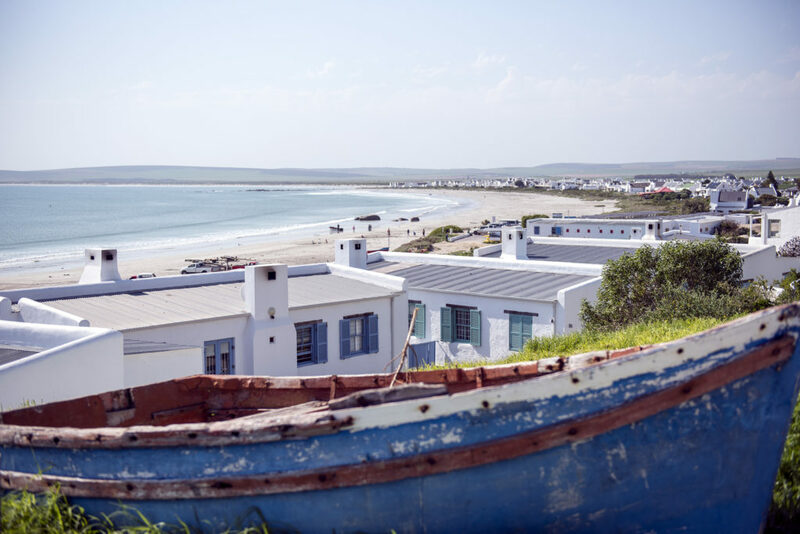 Together with the briny limpets, chopped finely and served in the shell, and the angelfish sitting on bokkom sambals, skin so feather-light and crisp – I heard Mr Petrini sigh with pleasure as he ate – we were sampling the best of late winter West Coast food. I’ve eaten springbok many times, some of it good, and some mediocre. To share the local game with a first-timer (it was Mr Petrini’s first visit to southern Africa), and particularly, a knowledgeable eater, whose experiences are varied, vast and underpinned by the tenet of food ethics and sustainability, heightened my own enjoyment. Sitting across from him, I watched his eyes close in appreciation, and crinkle with joy as we raised glasses to another course. 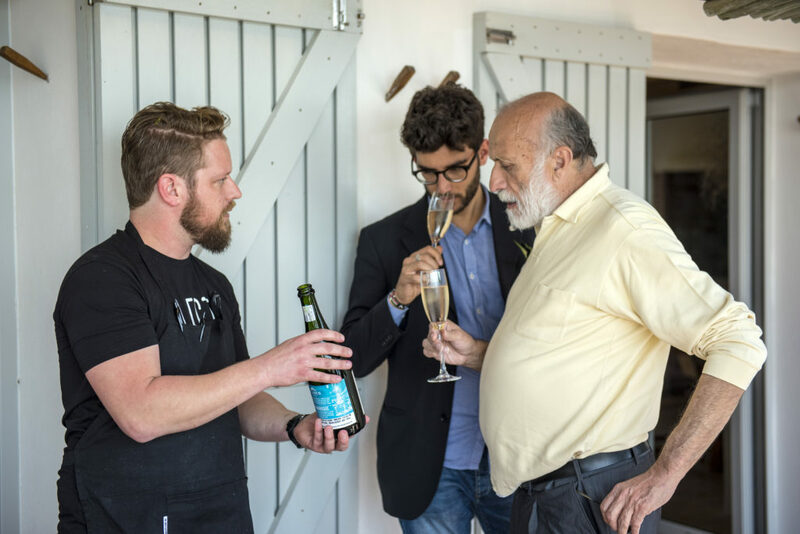 Carlo Petrini and chef Kobus van der Merwe. Not wanting to break the spell on our light-hearted afternoon, I bid my time. Eventually, I asked Mr Petrini about extremes: food hedonism and food insecurity, and the quest for balance between both these seemingly opposed worlds. Compassion, he replied, is a quality that has helped him feel closer to a sense of equilibrium with the imbalance in the food world. 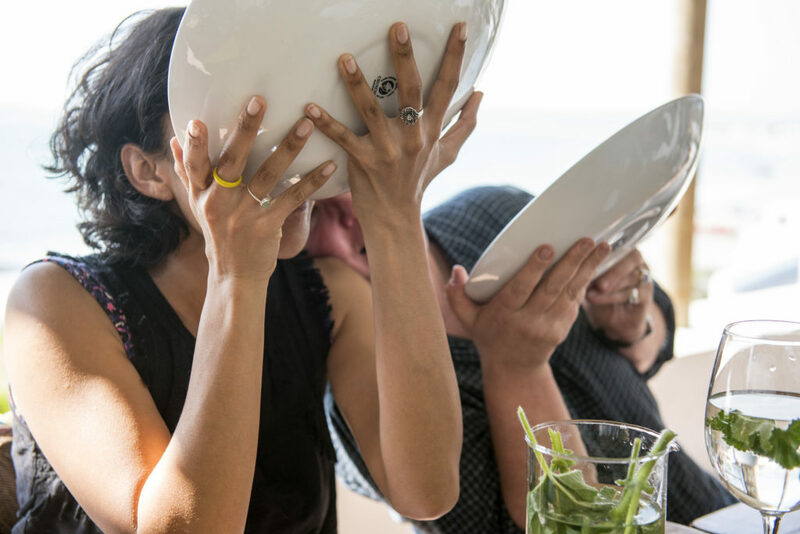 And a sparkling sense of humour would not go amiss, I thought, reflecting on the spontaneity of our tablemates over the bowls of springbok juices and Mr Petrini’s hilarious protestations that drew a table of acquaintances closer that afternoon.